A brace of tries to Vatukoula’s Noa Lomani and Apisai Take paved the way as they handed hapless Yasawa a 51-13 drubbing in their Vodafone Vanua Challenge clash at Nodovu Park, Lautoka yesterday. Vatukoula never looked back after amassing 34-3 lead at halftime and sealed the match with a last minute try. 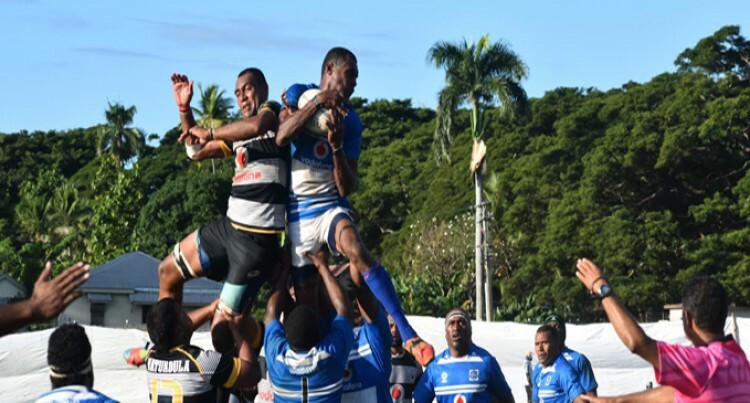 However, Yasawa coach and former dual international Kaiava Salusalu was not downhearted as he has a three-year mission where he aims to take his young brigade to the top of Fiji rugby. What happened: Vatukoula fullback Seveci Tora opened the scoring in the eight minute with a penalty and this was followed by a try in the 16th minute to halfback Atunaisa Livanalgi. Tora slotted in the conversion for Vatukoula to take a handy 10-0 lead. Lomani got his first try in the 24th minute and his second nine minutes later with Tora adding the conversions. Yasawa slotted in a penalty by halfback Varayame Momo Centre Manoa Natorogia and Take added two unconverted tries before the break. Take scored his second just after the break before fullback Tora added one himself and with the conversion Vatukoula led 46-3. In the 62nd minute, Yasawa number eight Inoke Momo scored a try and Varayame Mome converted for Yasawa to trail 46-10. Momo added another penalty but Vatukoula sealed the match with a try to replacement Sekove Kautoga. The second spell was a copybook of the first half with no real exciting moments.